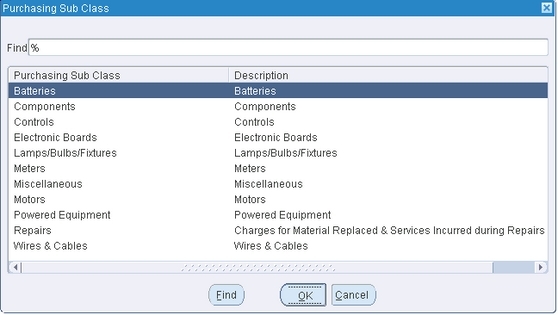 Categories and category sets are used to group your items for reporting purposes. It is a logical classification for items with similar characteristics. Similar sub-classifications apply to Outside Vendor Services, Process Equipment Spares and Raw Materials. Jennifer has to design the structure, to accommodate these classes and sub classes. OSS is using the PO_ITEM_CATEGORY structure for a different purpose. 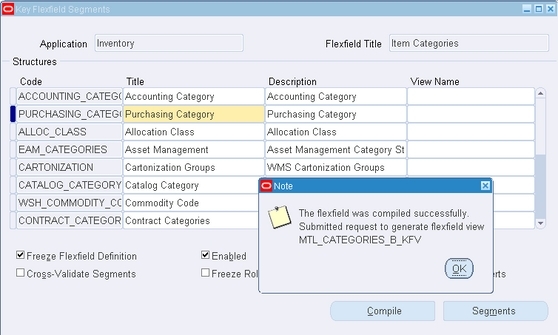 So, Jennifer decides to create a new Item Category flexfield structure which she chooses to call PURCHASING_CATEGORY. When defining this flexfield, Jennifer has to choose how many segments she wants to use and in what order she wants them to appear. Purchasing Category will have 2 segments as shown below. 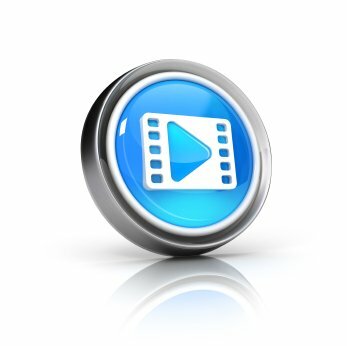 Oracle Application Object Library uses values, value sets and validation tables as components of key flexfields, descriptive flexfields and Standard Request Submission. 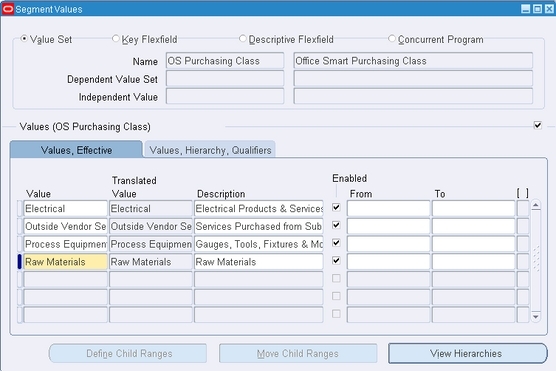 Jennifer defines a Value Set for the Purchasing Class segment called OS Purchasing Class. This Value Set will store the values of Electrical, Outside Vendor Services, Process Equipment Spares and Raw Materials. So this Value Set needs to have the Format Type as Char or Character. Jennifer also decides to set the Validation Type for this Value Set as Independent. An Independent Value Set provides a predefined list of values for a segment. The values that Jennifer plans to put into this Value Set are – Electrical, Outside Vendor Services, Process Equipment Spares and Raw Materials. Having defined the Value Set, she now has to associate this Value Set to the Purchasing Class segment. Jennifer now defines the Value Set for the second segment. She calls it OS Purchasing Sub Class. This Value Set will store the sub categories within each Purchasing Class, as we shall soon see. Jennifer realizes that for this Value Set to contain sub classes of the Purchasing Class, the Validation Type should be set to Dependent. 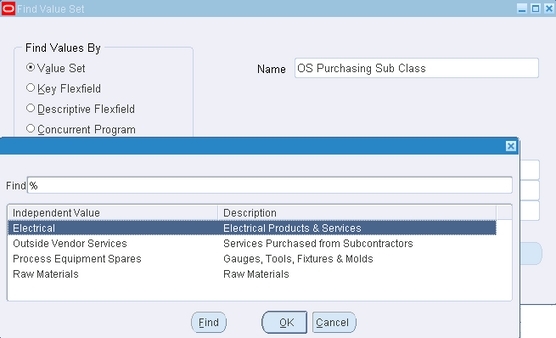 The moment she defines OS Purchasing Sub Class with a Validation Type as Dependent, she has to specify which is the Independent Value Set on which OS Purchasing Sub Class is dependent. As was done for the Purchasing Class, Jennifer now attaches this Value Set to the Purchasing Sub Class segment. 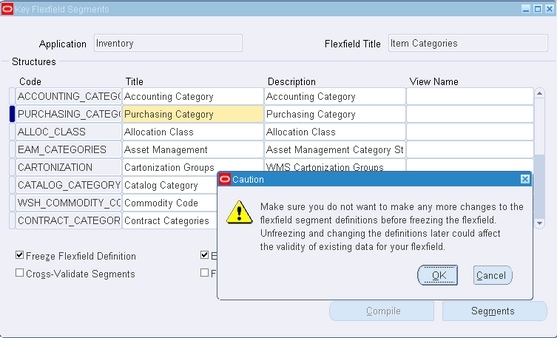 Having saved her work, Jennifer compiles the flexfield definition. She receives the message shown below. That’s OK.
To her relief she sees the following message. 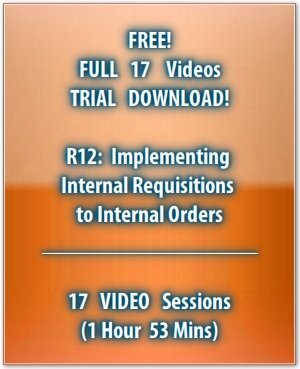 If you have any technical issues with downloading this demo, do email us at mywords@oracle-apps-training-online.com. Jennifer now looks up the Purchasing Class and Purchasing Sub Class values that she has before her. She needs to fill in these details into the Value Sets she has just created. She begins by entering into the OS Purchasing Class Value Set the four values that are listed at the beginning of this page. This is what she does. She saves her work and closes the window. 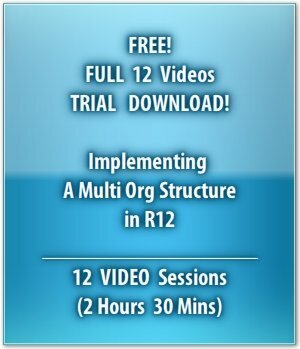 The system launches a concurrent request called Compile value set hierarchies. Jennifer waits for the request to complete successfully. She now plans to define values for the Purchasing Class - Electrical. 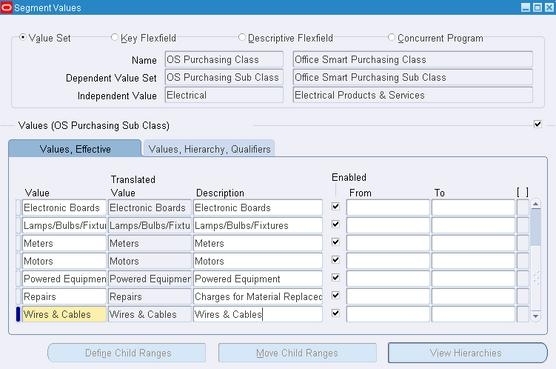 When she retrieves the Value Set – OS Purchasing Sub Class, the system prompts her to select an Independent Value as shown below. She selects Electrical. She now enters the Purchasing Sub Class values for the Purchasing Class Electrical. She deserves it! When she returns from the pantry, all she has to do is to repeat the same steps for the other three Purchasing Classes. Jennifer returns from her coffee break and finds a post-it on her desk. 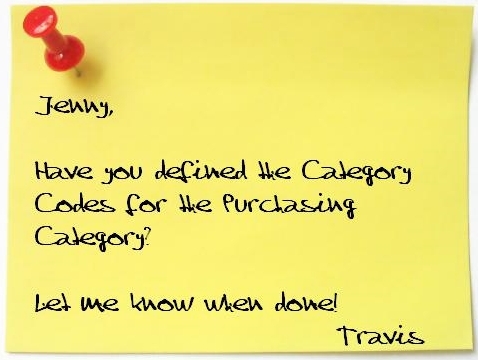 It’s from Travis, the Inventory Management track lead at Office Smart Solutions. This jolts Jennifer’s memory. She remembers the one last thing she needs to do. Create Category Codes. She fills up the remaining values in the Value Sets and then proceeds to create Category Codes. She begins with the Electrical Purchasing Class. 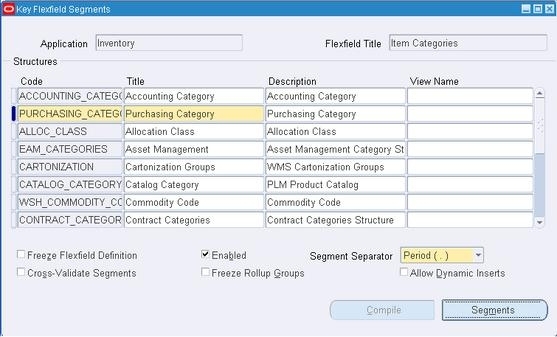 When she enters the Structure Name as Purchasing Category (which she had defined as an Item Category flexfield) and the Category as Electrical, Oracle brings up the list of sub-categories within Electrical. Jennifer works on pairing Electrical with each of these Purchasing Sub Classes to create the Category Code combinations. The first of these is Electrical.Batteries. She repeats this exercise for all the four Purchasing Classes. Jennifer mails Travis. The job has been done.